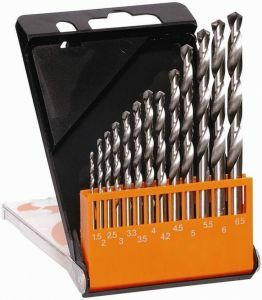 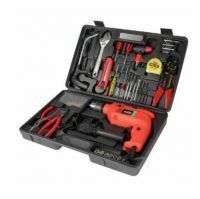 Contains 100 drilling accessories for all your drilling needs. 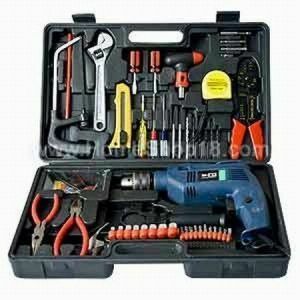 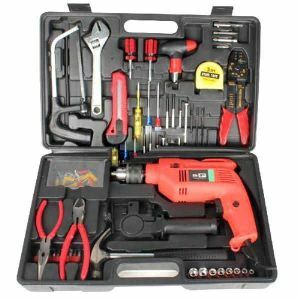 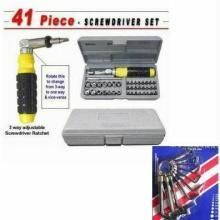 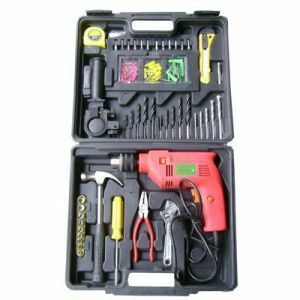 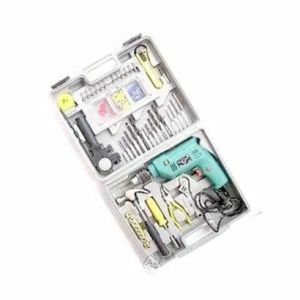 All the items the person will ever need,Hammers,Screw Drives, pliers, renches, styles, Measuring Tape,Drill Bits,Plastic Studs,Bits ranging for 3/4inch to 1 inch. 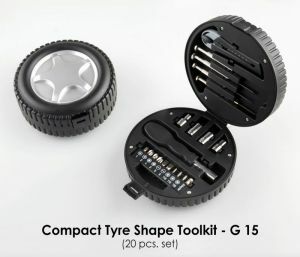 All this in a compact, sturdy, blowplast case with a groove for each tool to keep carefully and to come to know immediately if you have forgotten a tool somewhere! 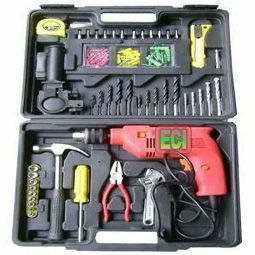 Easy to carry and portable.